Among every vehicle kind, maybe is in the all terrain vehicles where the correct tyre choice is the most difficult. These vehicles, also known as 4×4 or SUV (“Sport Utility Vehicle”), are used in pavement streets as well as outside of them in the harshest conditions. This is why the main manufacturers have created thousands of references only for the 4×4 segment focusing on the tyre traction and its pattern, especially at the hour of clearing in the quickest and most efficiently possible way the stones and mud from the road. 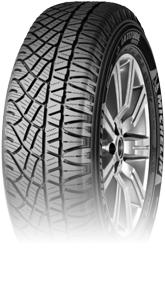 The fact that the use of SUVs is continuously growing in our streets, has made the five Premium manufacturers and all the other tyre brands to put their research and innovation teams to develop and involve the bestselling tyre patterns of the world, for the most prestigious SUV and 4×4 tyres. 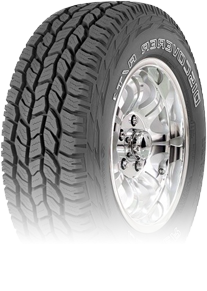 Andres Group distributes the best tyres from main brands for 4x4 vehicles in its warehouses. Besides the distribution of the best tyres from the 5 premium manufacturers, the group has exclusiveness distribution agreements for excellent all-terrain tyres produced by General Tire or Nankang, with an unpaired price-quality ratio. The leader in the 4x4 segment, with an important presence in international competitions for motor racing and adventure. Is a known specialist in the 4x4 segment for the manufacture of high quality on- and off-road tyres giving them a high recognition in the market worldwide. Is the leading brand in its sector practically since the foundation of company. It possesses a sizable number of models in the 4x4 tyres top sellers. 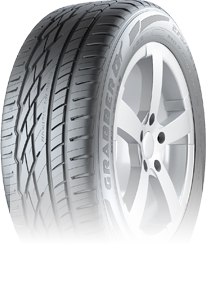 Is a tyre developed for on the road as well on the asphalt driving. Its design was focused into increasing wheel rigidity, stability and noise reduction.